Driver’s education or driver’s ed is the common term for the school that teens and adults attend to learn how to drive for the first time. The basics of driving are taught and at Varsity Driving Academy, defensive driving is an added bonus. However, there is another term floating around out there, traffic school. Many people wonder what is traffic school and if they need to attend traffic school or driver’s ed. But there is a major difference between the two and it is very important. Finding out what is traffic school and how it can help you in specific situations is important but the goal is to avoid the need altogether. Driver’s ed is where teens and adults go to learn how to drive. Everything is covered from how to start the car all the way to what to do in the event of an accident. Driver’s ed is important because it teaches drivers what the traffic laws are and how to obey them. 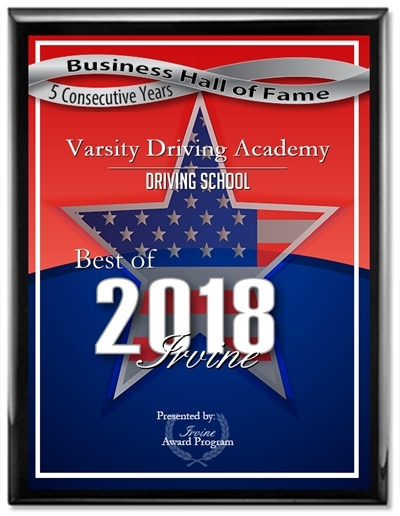 At Varsity Driving Academy, lessons go even further by teaching the most important driving technique, defensive driving. However, there is something called traffic school and you wouldn’t be alone if you were asking yourself what is traffic school? Traffic school is essentially a rushed version of driving school. 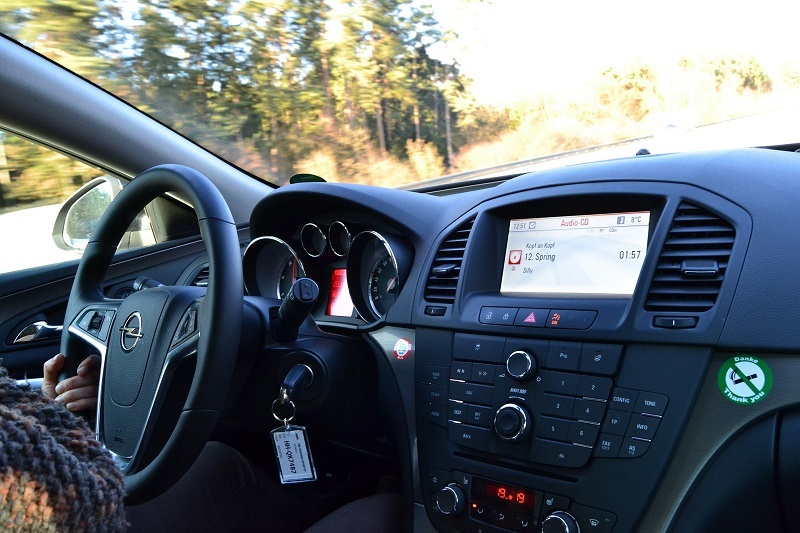 During traffic school, you will lightly go over the basics of driving laws in your area and take a small test at the end to verify you’ve learned what was taught. Most traffic schools can be finished in a couple of hours or less and it serves a specific purpose in California. While traffic school does teach the basics, it is not an option for receiving your license for the first time. For Teens, driving school is mandatory before getting a driver’s license. 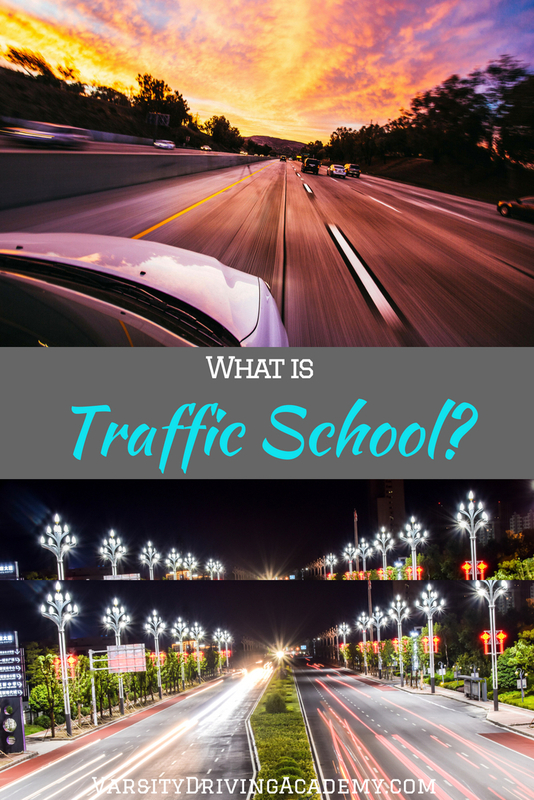 What is Traffic School For? In the state of California, traffic school serves a few different purposes. One of the most common reasons people attend traffic school is to dismiss a traffic ticket. When people receive a traffic ticket, often for the first time, the option of going to traffic school is put on the table. Once the person completes traffic school, the ticket they received is dismissed. Another common reason to attend traffic school is to avoid getting points added to your driving record. In California, there is a points system, if you get 4 points in 12 months, 6 points in 24 months or 8 points in 36 months your driving privileges may be revoked. There are a different number of points given depending on the driving law that is broken but attending traffic school could help you avoid getting points on your record. What is traffic school? Traffic school is a review of the basics of driving that is meant as a refresher course in the event that you get a ticket or points on your record. Driver’s ed is an in-depth look at what it means to drive, how to do it safely, and how to follow the laws. The goal of driver’s ed is to teach people everything there is to know about driving. Traffic school and driver’s ed are totally different things and have totally different uses. However, traffic school is a great option as a refresher course. In fact, adults should be using traffic school every so often as a refresher and they may even be able to restart their habits to exchange them for safer ones.